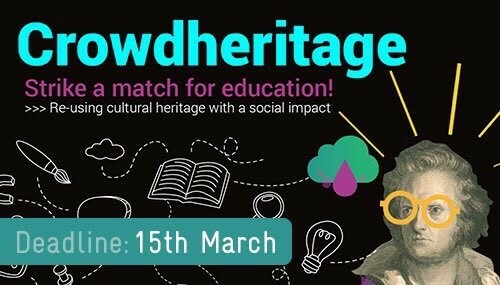 In cooperation with Goteo Foundation, Europeana will launch a match funding call with a total budget of 10.000 EUR to co-fund up to three innovative projects that reuse digital cultural heritage content for secondary education. In this call, Europeana will match crowd contributions according to the procedures and conditions specified below. encourage re-use of digital cultural content in secondary education. fuel growth in the creative industries sector. promote cross-sector innovation by combining resources, technologies and market opportunities from three sectors (cultural sector, educational sector, creative industries). Europeana invites applications from creative minds across Europe with ideas for new ways to engage with Europe’s digital cultural heritage in secondary education (formal and informal). The call is open for any person above 18 years old. Applicants must be residents of one of the 28 EU member states. Note: openly licensed content means content with a rights statement that allows you to freely use it in any context (eg Public domain, CC0, CC BY, CC BY-SA). CC BY-ND can be used in some educational contexts. We will not fund proposals that do not respect the relevant rights statements. Find out more about how to use our data. Of different types - the projects can vary from digital applications, MOOCs, e-books, to documentaries or other creative digital learning tools. Existing applications when they meet the requirements above. The entry must further the business potential of the existing application - significant new developments must be planned and described in the application. Important: Projects must not be in receipt of other EU funding. The information below will support the jury (consisting of representatives from Goteo and Europeana) to assess the applications received through this call. Present a basic business plan to show how they will ensure project’s sustainability. The business plan should cover the key elements of the business canvas template and be no longer than two pages. Provide a detailed budget for the development of their project. Set out a clear timeline with concrete milestones that demonstrates how they will develop and deliver the proposed digital product. Demonstrate (by means of a marketing/dissemination plan) how they will reach existing and new public audiences in order to achieve their crowdfunding goals. Offer novel and engaging ways for educators and/or pupils to interact with digital cultural content in formal or informal educational environments (secondary education). Be scalable and present ideas that will work across multiple countries and/or languages. Be financially viable in the long term. Applicants are encouraged to provide collective returns in their campaigns. Collective returns are social rewards e.g. products or services derived from the project for the benefit of the community. These returns can vary from free access to the source code of the educational product to derivative resources or services, such as training through didactic manuals, workshops and/or via Internet; footage, files and other digital content (e.g. a template/pattern, a design, methodology or programme) that can be replicated, reused, remixed, etc. More information on Goteo’s FAQ. 29 March: Announcement of the selected projects on Goteo.org and Europeana Labs website. 30 March - 11 April: Online assessment / workshop with Goteo. The project winners will work together with Goteo representatives and learn how to design and deliver a successful crowdfunding campaign. The exact format of the workshop (onsite or online) will be confirmed at a later stage. In case of a physical workshop, Europeana will cover the travel costs for the workshop participants. * Should one or two of the campaigns not reach their financial goals in the first round, the Europeana match funding capital reserved for them will be allocated to support the remaining project campaign(s) in the second round. The projects with a successful crowdfunding campaign will receive their co-funding from Europeana and must develop and deliver their product between 15 June and 31 December 2017. The project team must present a project prototype by 25 August 2017 and deliver the final project outcome by 31 December 2017. In this call, for each EUR donated by the crowd, Europeana will contribute 1 EUR match funding with a maximum of 100 EUR per individual donation (see the table below). Europeana’s match funding contribution can only be granted once per crowd donation. Although anyone is allowed to make additional contributions, the match funding will be donated only for the first contribution. 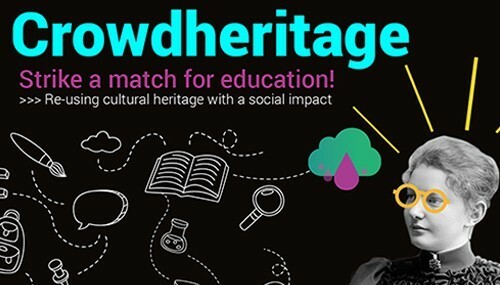 In the first crowdfunding campaign round, each project campaign may receive up to 3.500 EUR match funding from Europeana. The project must achieve its minimum crowdfunding goal in order to activate the match funding. These goals may differ per project. 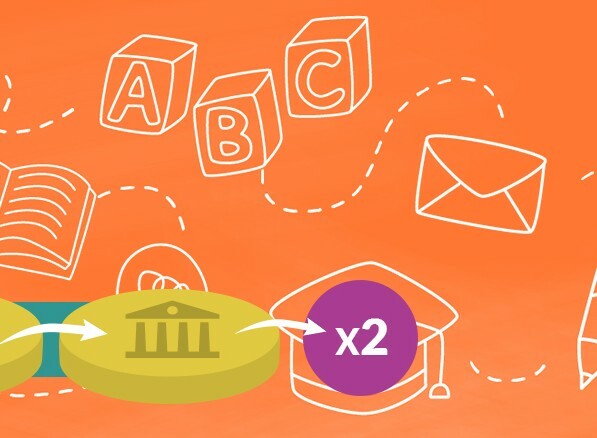 Should one or two of the campaigns not reach their financial goals in the first round, the Europeana match funding capital reserved for them will be allocated to support the remaining project campaign(s) in the second round. Participants will have six months (from 15 June/1 July 2017 until 31 December 2017) to implement their projects. The project team must present a project prototype by 25 August 2017. 100% of the crowd donations excluding the 4% administration fee for Goteo Foundation within five working days after the campaign end and upon receipt of a signed contract with Goteo. 50% of the Europeana match funding within 5 working days after the campaign completion and upon receipt of a signed contract with Europeana. 50% of the Europeana match funding on 31 August against delivery and acceptance of the agreed project prototype. The project winner(s) own the intellectual property in whatever they develop. On their finished product and on any related website or materials they must use the ‘Made with Europeana’ logo. Extensive information package on using the Europeana APIs. Bulk downloading media and metadata using the Europeana API. Technical support via the API forum. Guidance on searching Europeana Collections. Check our blog for frequently updated ideas and inspiration. Europeana Collections and boards on Pinterest. More information about the match funding procedures can be found on Goteo’s FAQ. Europeana will provide basic advice regarding the use of Europeana content and the Europeana API(s) during the application period. Such enquires must be sent to reuse@europeana.eu. Please note that we are not able to review or comment on your application or project idea or provide extensive advice during the application period. Europeana and Goteo will not provide feedback to unsuccessful applicants due to the limited resources at their disposal. All call-related news and updates will be published on the Goteo platform, as well as through Goteo’s and Europeana Labs social networks.